Wenonah Hauter grew up on a family farm that her husband runs today as a Community Supported Agriculture Project (CSA), which is part of the growing local food movement. Yet, as one of the nation’s leading healthy-food advocates, Hauter believes that the local food movement is not enough to solve America’s food crisis and the public health debacle it has created. 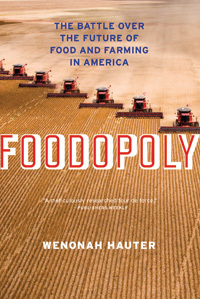 In Foodopoly, she takes aim at the real culprit: the control of food production by a handful of large corporations—backed by political clout—that prevents farmers from raising healthy crops and limits the choices that people can make in the grocery store. Blending history, reporting, and a deep understanding of American farming and food production, Foodopoly is the shocking and revealing account of the business behind the meat, vegetables, grains and milk that most Americans eat every day, including some of our favorite and most respected organic and health-conscious brands. Hauter also pulls the curtain back from the little-understood but vital realm of agricultural policy, showing how it has been hijacked by lobbyists, driving out independent farmers and food processors in favor of the likes of Cargill, Tyson, Kraft and ConAgra. Foodopoly demonstrates how the impacts ripple far and wide, from economic stagnation in rural communities at home to famines overseas. In the end, Hauter argues that solving this crisis will require a complete structural shift—a change that is about politics, not just personal choice. 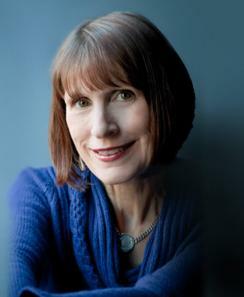 Author and healthy food advocate Wenonah Hauter will be in Austin for a book signing and Q&A session on Wednesday, August 7th. Join her from 7-8:30 pm at the Austin public library branch location at 5500 Manchaca Rd.